Cafe Lulu is tucked into the heart of Greenlake where many happy neighbors call it their home away from home. This show is amazing! I met Jesse last summer at his Bumbersoot booth and instantly loved his work. The animals are dramatic, the colors are fantastic and the details are super fun. Check out his site (www.jesselink.com) where you can see more work and buy online, or come see for yourself in person. The show will be up through the end of September! This entry was posted in Uncategorized on August 14, 2013 by Cafe Lulu. 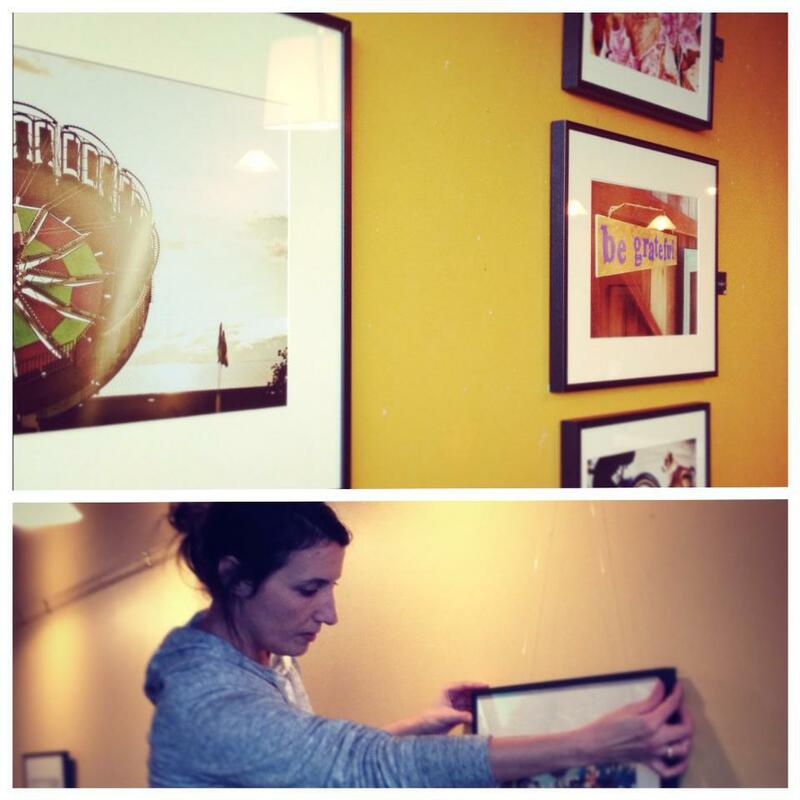 I’m a Seattle native so to have my photos on the wall of a coffee shop is pretty exciting, especially in such a sweet space like Cafe Lulu. For the past few years, I’ve been addicted to the awareness photography allows. I’m present – in every photo – yet the flow of life moves quickly and it’s easy to forget the feeling I had when I clicked the shutter. By freezing theses moments along the way, I can remember what I felt at that moment, and gain perspective for how things have unfolded since. My photos reflect the continuing journey and remind me of how lucky I am. This entry was posted in Art Show on January 19, 2013 by Cafe Lulu. Cafe Lulu owner Karen Laurie has finally curated a show of her own artwork, meticulously folded books. I have always loved books, and I have as much fun moving them from room to room as I do reading them. On any given month, my bookshelves can be rearranged alphabetically, by size, or most often, by color. I spotted my first folded book in a home furnishings catalogue about seven years ago and have been fascinated with them ever since. I spent a lot of time as a kid folding perfect squares into Origami, so it was no surprise that I was naturally drawn to these books. I started with paperback travel guides with simple folds (which have been perched here at Cafe Lulu on the shelf above the flavored syrups for years) and eventually branched out to hardbound books with more complex, sculptural patterns. In this particular series, there are no cut pages; each page is folded once, twice, and sometimes three times. Each book can take between two and four hours and it’s next to impossible to multi-task while creating a folded book! I pay attention to each fold, plotting out the pattern beforehand, or letting the pages dictate the design as I go. I find it incredibly satisfying to watch the book take shape and puff up like a proud peacock giving a glimpse of each precious page. The books, mobiles, ornaments and boxed ‘spirals’ are all unique. If there is something you like that has been sold, a similar piece can be commissioned. 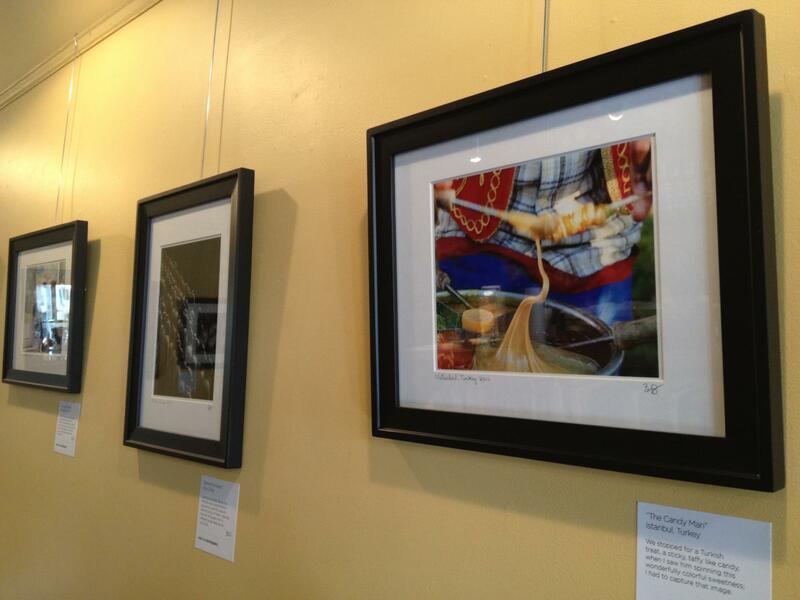 Stacy’s artwork looks great on the walls at Cafe Lulu. The colors are bright and vibrant and she has recreated life on her canvasses. This entry was posted in Uncategorized on November 2, 2012 by Cafe Lulu. This entry was posted in Uncategorized on October 7, 2012 by Cafe Lulu. Want to have a show? If you are interested in having a show at Cafe Lulu – Contact Me using the following form. Thanks in advance. This entry was posted in Uncategorized on October 9, 2010 by Cafe Lulu.